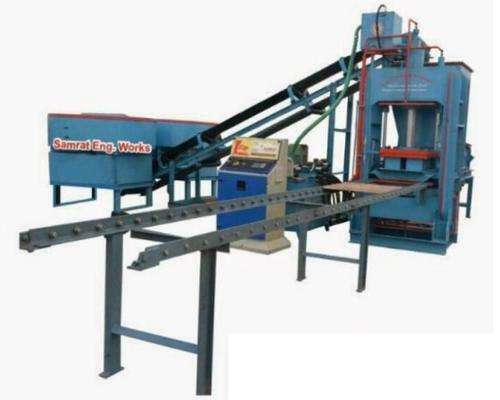 Fly Ash Brick Making Machinery and Material Handling Equipment. Our range encompasses Pan Mixer Machine, Paver Block Machine - 40 Ton, Paver Block Machine and Tiles Raw Material Mixture Machine. Additionally, we also deal in Vibro Machine, Vibro With Flux Bricks Machine, Pallet Truck, Vibro Forming Table Machine and Rubber Belt Conveyor Machine. We also deals in Various design Chequered Tiles Molds. Making proper use of steel and employing modern techniques, we ensure that our product range conforms to the international quality standards. Due to attributes like corrosion resistance and durability, our products are used extensively by clients across various construction industries. Customization facility, defect free products and transparent dealings help us in staying miles ahead of our competitors. We have all the required manufacturing facilities, due to which, we are successfully fulfilling ever increasing demands of the clients. For attaining complete satisfaction of the clients, we deliver our products on time and strive to provide them maximum benefit through business deals.